I hope my perspective on the Bipolar disorder gives greater understanding, understanding the helps plan your life and therapy. This perspective is based on my observation and reflections. It is inspired by the theories of Eric Berne and John and Paula Sandford. It is not meant to deny more physiological explanations of Bipolar but to add richness to the perspectives we can bring to bear on this issue. The theory is my own and is nonconventional. ​Like any other life pattern that is rooted in childhood memories, Self-change is frustratingly ineffective. I am a professional registered Psychotherapist equipped with several methodologies that do work to produce lasting change in your life patterns. For a consultation phone me: George Hartwell (416) 939-0544 (Toronto, Ontario, Canada, Eastern Standard Time zone). The Bipolar actually cycles through different ego states. This is much more than changing moods or feelings. It reflects internal personality dynamics. We have three primary ego states: Parent, Adult and Child. In the manic state the Bipolar is in the Child State. In this state there is lots of energy, little sleep, creativity, impulsivity, and less socially responsible behaviour. The Bipolar has slipped into the free Child state. In the depressed phase the Bipolar is under the control of the Critical Parent. The Inner Child is not free but kept under control by the Critical Parent ego state. The Parent is enforcing a variety of inner rules such as: ‘Don’t be selfish,’ “Don’t rock the boat,’Don’t express your needs.’ The Inner Child is being suppressed and the result is depression. The voice behind these rules is the inner Parent. That inner Parent sounds like a very controlling judge, an abusive tyrant. When the Inner Critic (Judge, Tyrant) is in control these rules are enforced on the Inner Child. The Inner Child is kept suppressed. The person does not look after their own needs. When the Inner Child breaks away from this control and abuse, it is totally beyond control so goes completely Child, completely wild. completely creative, intuitive and energetic. The truth is that people with bipolar think much like other people think. They think like other people because they are people first. They will appear and think normal most of the time. In fact, the majority of the time they are not only normal they are very responsible people. They are warm caring people. The only reason they get that diagnosis is that they have suppressed their inner child in order to focus on care of others. This is a theme or schema that started in childhood. The 'problem' with bipolar is that the Inner Child needs expression and will sometimes break out of the control that normally keeps the Inner Child suppressed. There are those times when their inner child breaks out. The problem is how much this distorts the personality. Now the Adult and Parent states are pushed back as the Inner child takes over. You see they are not like other people because they do not usually integrate the playfulness, creativity and intuition of their inner child into their full personality. They have an unusual type of multiple personality. In the ‘manic state’ their inner child takes over so completely that they act and think like a totally different person. At this point they they think, feel and act like a playful, energetic child that just escaped from prison and has to make up for lost time. Instead of a life a drudgery, the child is having a blast. At this point they are hard to reason with because they are having too much fun! The reasoning Adult state is not strongly present. See other posts of mine on Quara to fill in more of my theory of the bipolar personality. Here is a summary: I believe that there are personality dynamics and family history patterns involved in creating the personality pattern that creates the behaviours that result in the label/diagnosis of bipolar. In my thesis, hypothesis if you will, much bipolar is manifested in a personality pattern of a very responsible person - similar to what we call a codependent. The family background had some breakdown in the parenting system and the child got drawn into taking on some sense of responsibility for keeping family systems peaceful, without conflict, orderly. They do that by taking care of people and generally do so very well. Problem is that this now shapes their life personality, attitudes and motivation. The weak point is lack of self-care. In fact these people have an internal system of being very critical of their inner child in order to suppress their playful side to appear. They are seen as too serious as adults and like little adults when in childhood. The truth is that people with bipolar think like other people think. They think like other people because they are people first. They will appear and think normal most of the time. The majority of the time they are not only normal they are very responsible people. The only reason they get that diagnosis is that they have suppressed their inner child in order to focus on care of others. Then there are times when their inner child break out and takes over. Now they are like another person because they do not usually integrate the playfulness, creativity and intuition of their inner child into their personality. In this so-called ‘manic state’ their inner child takes over completely for a while. Question: What is the Difference Between Borderline Personality and Bipolar Personality Disorder? I would be glad to answer based on my observations and NOT on diagnostic manuals. I do not have authority to make diagnosis. As a Christian registered Psychotherapist I focus on what is going on inside not on how to best label it. When I think of Borderline think of someone who is often out of control and often destroying the relationships around them. Borderline Personality is associated in my mind with rages, impulsive and irrational breaking of relationship bonds and lots of hurting loved ones. For the sake of your sanity read: https://www.amazon.com/Stop-Walking-Eggshells-Borderline-Personality/dp/1572246901 by Randi Kreger (Author) and by Paul Mason MS, of you are family to a borderline personality or someone with those traits. Inside the Borderline is a person who does not feel secure in emotional/social relationships and does not have a lot of control over their own behaviour. Foundational to this is poor bonding in the first three years of life. For pssychology students interested in bonding I recommend, Becoming Attached by Robert Karen - an in depth, thorough and fair overview: www.amazon.com/Becoming-Attached-First-Relationships-Capacity/dp/B006O2JM4I/ref=sr_1_2?s=books&ie=UTF8&qid=1524763242&sr=1-2&keywords=becoming+attached+robert+karen. Borderline does not seem to have a mature conscience, good self-control, little capacity for bonding, minimal empathy and is very insecure around issues of rejection and abandonment. This often gets expressed in anger, rages and impulsive behaviour and abandonment of loved ones, marital partners, family, etc. This is explained in my Christian model of the person by the weak human spirit caused by the weak or broken bonding. Discussed as a ﻿core issue human spirit here, Human spirit a core issue part 2 and here on severe emotional problems and the human spirit. 1. 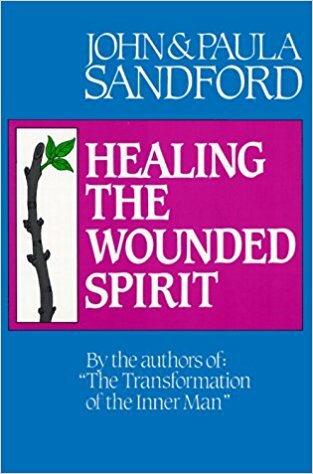 Watchman Nee "Releasing the Spirit," 2, John and Paula Sandford, "Healing the Wounded Spirit" especially their chapters on "Functions of the Human Spirit", "The Slumbering Spirit" and "the Captive Spirit." The bipolar person is usually depressed and sometimes in a manic state. Think of Eric Berne's theory of Parent, Adult and Child ego states. The inner Parent is enhanced to take care of other people, but also directed internally at the inner Child so as to suppress and keep down the demands of the Inner Child. The person acts responsible - takes care of others and keep family and organization together. The fatal flaw is lack of self-care. The inner Child is kept down, kept silent and sent shaming messages. I call this internal child abuse. This inner child is depressed and suppressed, except when it runs away from it all and has fun. This is like a prison breakout. The child runs away from the abuse and control and goes into rebellion. In the escaped state the child is expressive, energetic, creative, spiritual, loving, impulsive and definately NOT responsible, much to everyone's disappointment. So child gets shut down and pushed back into his or her cage. The child gets 'cured' by being put back into the depressed state. That is the circus as I see it. My preference is that you never identify with a psychiatric diagnosis. Never say “I am bipolar.” Be your own person - a person with her own identity and life that happens to have a diagnosis from someone qualified to provide one. You are NOT your diagnosis. Your diagnosis is private and you do not have to be telling everyone “I have bipolar disorder.’ I would only share that if someone is effected by your behaviour and an explanation would be helpful to them. If you read my posts you will find that I believe that there are personality dynamics and family history patterns involved in creating the personality pattern that creates the behaviours that result in the label/diagnosis of bipolar. In my thesis, hypothesis if you will, much bipolar is manifested in a personality pattern of a very responsible person - similar to what we call a codependent. The family background had some breakdown in the parenting system and the child got drawn into taking on some sense of responsibility for keeping family systems peaceful, without conflict, orderly. They do that by taking care of people and things very well. This has nothing to do with whether or not you should turn to drug-based solutions, except that, if I am right, a healthier solution would be effective psychotherapy to understand and change those dysfunctional patterns. These solutions do not have to be exclusive. Yes you can. Manic episodes are usually an episode and they run out. In an extreme manic episode a lot of energy is expended and little sleep is obtained. That can only go on for so long. no one can survive like that for long. Remember in bipolar that there are various levels of manic episodes from more or less normal ‘blow out’, to dysfunctional extremes like spending the families money reserves, to extremely dangerous or crazy episodes where your live is at risk. It is in the final case the medical professionals my need to intervene and medication might be neede. Remember that in the Manic period your judgment cannot be trusted. You are thinking like an excited child. Your thoughts and feelings can depart from what is safe and reasonable. So better to be a little conservative and listen to advice. What are Bipolar disorder common personality traits? Because the personality is rejecting of their Inner Child and playfulness, many people will find them too serious. Also when they are young children they may seem like little adults. This personality is great a taking responsibility and lacks boundaries around responsibility. Therefore, they tend to do too much and do other people’s jobs. What are the techniques or methods that are effective in managing Bipolar disorder apart from medication? For self-help measures for bipolar the person needs to be able to pull back from being ‘Caretaker of the World’ and set some boundaries. Say 'No' to every request to rescue or help another. The other self-help measure for the bipolar is to provide fun, recreation, play, creativity and art to the creative inner child. Make of list of things you can do each week to improve self-care. Very important is to access good quality psychotherapy to both gain insight and make helpful changes based on good insight.